Top Inorganic Chemistry reviews of 2017! It is that time again when we take a look back at the work published in the previous year and how it is being received by the Inorganic Chemistry community. These Perspective and Frontier articles are among our top cited and downloaded review articles of 2017 providing valuable insight into the latest advances and trends for the community. The full list of Perspective and Frontier articles published in 2017 can be found here. This perspective article highlights the basics and applications of luminescence-based sensing of hazardous chemicals, pH, and temperature using rare-earth-based metal–organic frameworks. Self-assembled metallosupramolecular architectures generated using “click” ligands have become an increasingly popular area of inorganic chemistry. Alkynyl-protected coinage metal nanoclusters show new structural features and have interesting luminescence properties and catalytic behavior. The latest advances involving the use of copper(I)–NHC complexes as NHC transfer agents are described. The MLEP is a new, generally applicable measure of the metal–ligand bond strength based on vibrational spectroscopy, replacing the TEP. Although β-diketiminate complexes have been widely explored in stoichiometric studies, their use as catalysts is largely underdeveloped. Submit your research or reviews to Dalton Transactions– see our author guidelines for information on our article types or find out more about the advantages of publishing in a Royal Society of Chemistry journal. We are delighted to present a selection of recently-published Dalton Transactions Perspective and Frontier articles by recent winners of Royal Society of Chemistry awards. In this frontier article we overview the emergence and scope of NHC-based CCC and CNC pincer systems, i.e. 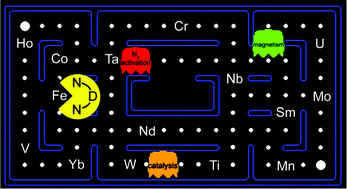 complexes containing mer-tridentate ligands bearing two NHC donor groups, comment on their effectiveness in applications, and highlight areas for future development and exploitation. Cisplatin and other platinum compounds have had a huge impact in the treatment of cancers and are applied in the majority of anticancer chemotherapeutic regimens. The success of these compounds has biased the approaches used to discover new metal-based anticancer drugs. In this perspective we highlight compounds that are apparently incompatible with the more classical (platinum-derived) concepts employed in the development of metal-based anticancer drugs, with respect to both compound design and the approaches used to validate their utility. Possible design approaches for the future are also suggested. The evolution of resistance to traditional platinum-based anticancer drugs has compelled researchers to investigate the cytostatic properties of alternative transition metal-based compounds. The anticancer potential of cobalt complexes has been extensively studied over the last three decades, and much time has been devoted to understanding their mechanisms of action. This perspective catalogues the development of antiproliferative cobalt complexes, and provides an in depth analysis of their mode of action. We will continue you update this blog post as more articles are published. Vitamin B12 plays an important role in the metabolism of many organisms, particularly mammals. Since efficient delivery of vitamin B12 into cells has potential applications in medical therapies, Zelder et al. are sure to inspire wider interest in the design, chemistry and biology of backbone modified B12 derivatives with this hot Perspective. Declan Gaynor and Darren Griffith discuss how medicinal inorganic chemistry is currently flourishing in this Dalton Transactions Perspective. Understanding the role of metals in biological systems is very important for drug design; the predictability and control of inorganic complexes make fine-tuning the properties of drugs incorporating such complexes a real possibility. Metal-based compounds are already routinely administered on a regular basis and this Perspective encourages chemists to further investigate inorganic therapeutic and diagnostic medicine by looking at previous successes, e.g. MRI contrast agents, then moving onto current challenges such as antibacterial compounds for tackling hospital acquired infections. To find out more, you can download the Perspective now – which is free to access for 4 weeks! Wilson’s disease is a rare genetic condition caused by inheriting an abnormal copy of the Wilson disease protein (ATP7B) gene. The disease affects approximately 1-4 people per 100,000 and prevents sufferers from regulating the concentration of copper within their body, inducing a copper overload. The redox properties of copper make it a very important metal biologically and it is involved in a wide range of enzymatic processes. The anti-oxidant enzyme superoxide dismutase for example is expressed in all cells and is part of our anti-oxidant defence, while the more specialised dopamine β-hydroxylase is only expressed in the brain and is involved in dopamine conversion. Balancing the amount of copper we have in our bodies is crucial for good health, having a copper deficit would hinder vital functions, but having an excess can cause oxidative stress by promoting the formation of hydroxyl radicals. Treating Wilson’s disease involves life-long chelation therapy, this is the application of compounds designed to bind to the excess copper ions and allow them to be safely excreted. This Hot Perspective by Pascale Delangle and Elisabeth Mintz reviews the drugs currently in use and gives insight in to the development of more advanced treatments, highlighting the design of bio-inspired chelating agents and drug targeting. To find out more you can download this article now, which is free to access for 4 weeks! To stay up to date with the latest news in inorganic chemistry you can also follow us on twitter and sign up to our e-alert service. If you’re interested in finding out more about MOFs, and in particular those based on metalloporphyrins, then look no further… Chao Zou and Chuan-De Wu’s recent Perspective article provides an interesting overview of these functional materials. 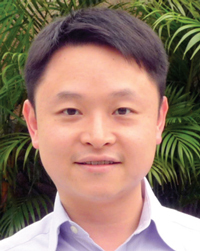 The researchers from Zhejiang University, China, discuss synthetic strategies and applications ranging from hydrogen storage to photocatalysis. Although the application of porphyrinic MOFs is considerably underdeveloped compared to other porphyrinic materials, say Zou and Wu, this article demonstrates that metalloporphyrins are an ideal choice for designing crystalline solid frameworks. To read more, download the article now – it’s free to access. This Perspective article is part of the upcoming themed issue on Coordination Chemistry in the Solid State, guest edited by Dalton Transactions Associate Editor, Russell Morris. Keep your eyes peeled for many of our other coordination chemistry articles which have already been published, including Burnett and Choe’s Perspective article on “Sequential self-assembly in metal–organic frameworks”. Edward Tiekink gives us a concise overview of drug developments involving selenium and tellurium compounds in this Dalton Transactions Frontier. Download it today, whilst it is still free…. First came Pacman, then Ms. Pacman and now Diamido Pacman!? Multi-dentate amido ligands are a real area of interest in coordination chemistry, the transition metal complexes possess novel reactivities, interesting structures and a range of properties including magnetism. Diamido-donor ligands for a large number of diamagnetic metal centres have been well studied, but the paramagnetic complexes have been relatively unexplored. Daniel B. Leznoff and Cassandra E. Hayes have compiled a review of these interesting structures in their Dalton Transactions Perspective ‘Paramagnetic metal complexes of diamido donor ligands‘, highlighting the broad scope of research yet to be undertaken. Who knows where the next fruit will appear in this unexplored maze? Can we mimic the Photosystem II machinery for light-driven oxidation of water to molecular oxygen? In this Dalton Transactions Perspective, Philipp Kurz and colleagues discuss manganese-containing compounds that have been studied as potential analogues of the oxygen-evolving-complex in Photosystem II. They highlight how the desire to produce solar fuels is inspiring research into artificial photosynthesis.